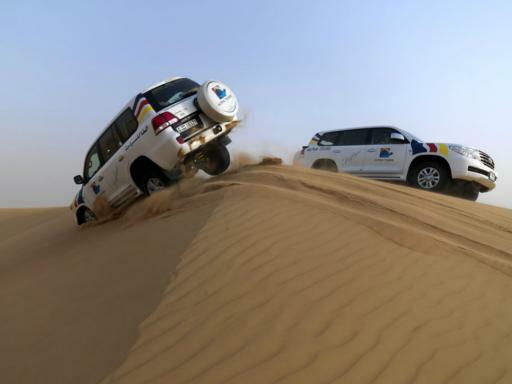 Accompanied by an experienced dune driver, race up giant sand dunes and plunge over blind precipices, provoking shrieks and laughter in equal measure! 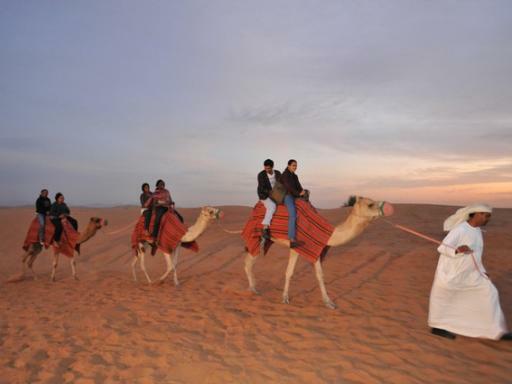 At sunset, head to the largest dune to watch the full glory of a desert sunset before continuing to a Bedouin Campsite nestled deep in the desert. 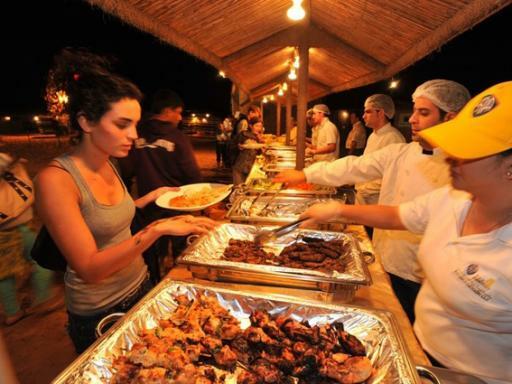 On arrival at the Bedouin Campsite there is the chance to ride a camel, try sand surfing or smoke aromatic Shisha (water pipe), as your delicious barbecue dinner is prepared on open fires. Then indulge in a delicious 3-course Arabic feast under a canopy of stars accompanied by an authentic belly dancer and the soft tones of Arabian folk music. 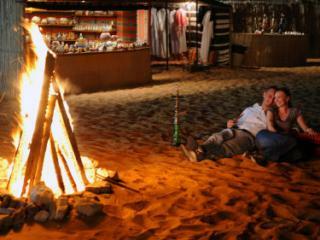 After dinner, you can sit around the open camp fires, smoke more of the hubbly bubbly and chat to the local ‘Bedouin’ people about their way of life and how it has changed since the massive development in Dubai. 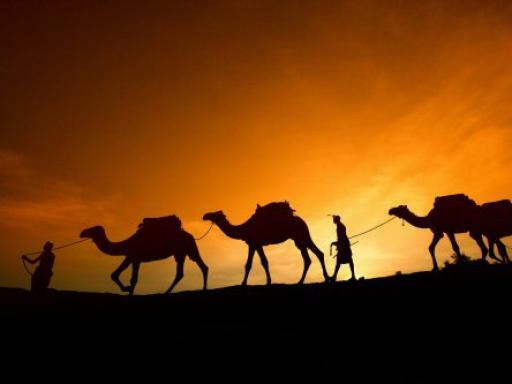 After a magical night camping in a Bedouin tent in the silence of the desert, wake up to a desert sunrise and enjoy a breakfast before returning to Dubai at around 9.30am. 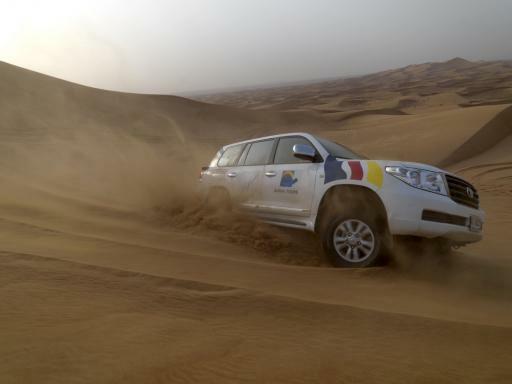 This safari trip takes you through rugged routes intended to create an adventurous and exciting experience. 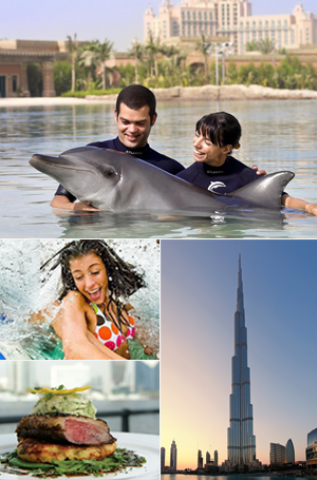 Therefore, this excursion is not recommended for children under the age of three years, expectant mothers and over 65s. It is also not recommended for people suffering with heart conditions and back/neck problems. 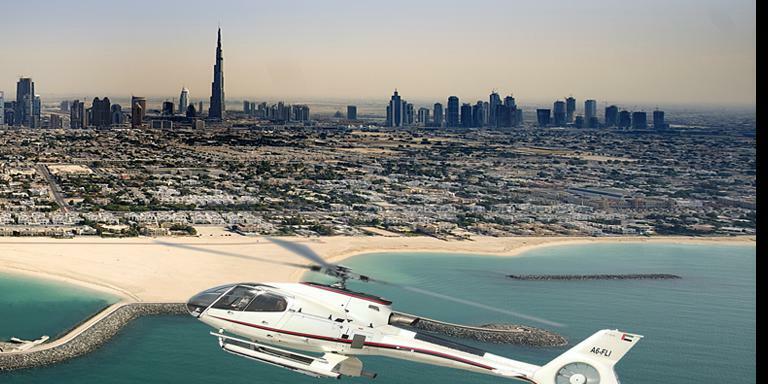 Departure Location: The tour includes pick-up and drop-off from hotels in Dubai and Sharjah. 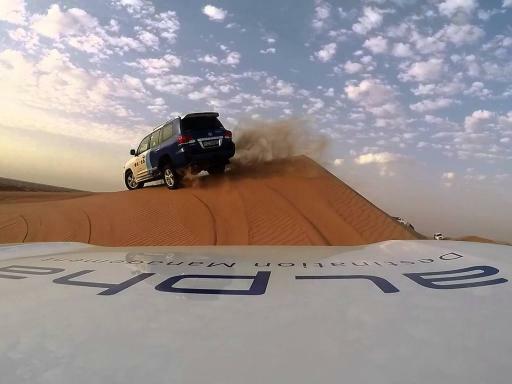 Duration: Around 19 hours including an overnight stay at a desert camp. Start Times: 3.00pm - 3.30pm. Hotel picks ups commence 30 minutes beforehand. 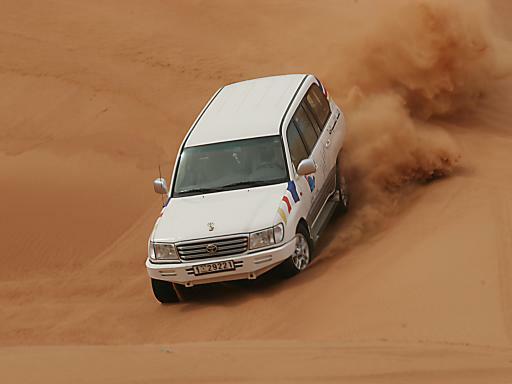 Pick-ups are available from Dubai and Sharjah area hotels only. 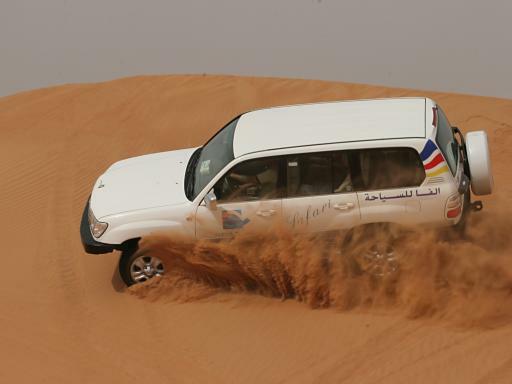 This excursion is not recommended for children under the age of three years, expectant mothers and over 65s. It is also not recommended to people suffering from heart conditions and back/neck problems. It is advisable to take a jumper or light jacket for when the sun goes down. We also advise that you take good quality sunglasses. Overnight accommodation is a partitioned area in a large tent. For this tour, you will also require an overnight bag for your toiletries and change of clothes. 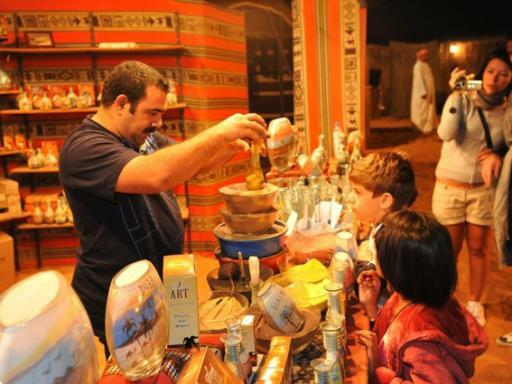 There will be no alcohol or belly dance show during Ramadan.